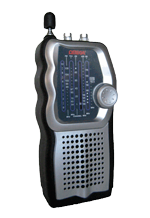 Mass Radios are available to Parishioners who are housebound and would like to be part of the daily and Sunday masses. Currently we are sourcing new radio’s and will let you know when they are available. If you or a member of your family would like a radio please contact the Parish Office. The Newmarket & Taur Parish Envelopes are used throughout the year. New boxes are delivered in December each year. This is to bring our collection into line with the Tax Year (January – December). The Weekly Parish Envelope which is coloured Yellow is the one paying for all the capital expenditure in both our churches and our small loan. Priest Offerings: The envelopes marked Spring and Autumn Stations, Easter and Christmas Offering is what supports the Priest of the Parish. Easter Sunday and Christmas Day collections are also given to the Priest. A priest’s salary is made up of these offerings and what he receives from Baptisms, Funerals and Weddings. Your envelopes can be placed in the Offertory Basket at weekend masses , can be handed into the Parish Office at any time, at the Stations or you may decide to make a once off payment annually. Any contribution you make is much appreciated and we are very grateful. Should your name or address on the envelope box be incorrect please contact the Parish Office on 029-22679 to rectify. The parish benefits greatly from Tax Rebates which are available when a parishioner contributes over €250.00 per annum. The Diocesan Purposes collection is taken up on the first weekend of every month the proceeds are then forwarded to the Diocesan Office quarterly. The Retired Priests collection goes directly to Canon Michael Leamy, (Treasurer, Cloyne Sick Priests Benevolent Fund) Main Street, Rathcormac, Co. Cork. High Street, Scarteen Street, Scarteen Road, Cill Ard. Guiney’s Terrace, Barry’s, Murphy’s & Verling Places, Clanaulie Close, Charleville Road. In conjunction with IRD all the gravestones have been photographed, GPS located and recorded and the inscriptions on the gravestones transcribed. Map boards containing the above information will be erected over time.